One of the United Kingdom's "Big Six" energy suppliers, EDF Energy, has announced that it will cut its gas prices by around five per cent - and in the process become the first major supplier to implement a price cut. The cuts will come into play from February 7, and will mean that the average yearly fuel bill totals Â£1,129 - representing a fall of Â£36. 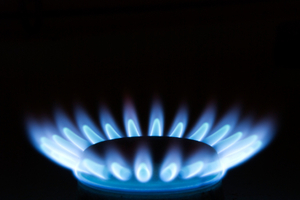 A fall in the wholesale price of gas has been attributed for the cuts to EDF Energy's prices. Following the price cut, Adam Scorer, director of policy and external affairs at Consumer Focus - a supporter of the upcoming Big Energy Week - stated: "The cut is not enormous given the scale of increase last year - but it creates some important momentum... Wholesale gas prices are at their lowest point in almost a year and the trend is down." Energy secretary, Chris Huhne, urged other suppliers to follow EDF Energy's example. He said: "If suppliers do not reduce prices, consumers can send them a clear message by voting with their feet and taking their business elsewhere."